An exciting escape to the East Cape with Whakatane-based tour company Group Travel New Zealand. Pack your bags, it’s time for an adventure! Whakatane-based tour company Group Travel New Zealand has an exciting tour of the East Cape on offer for everyone wanting to explore the spectacular wonders of New Zealand’s North Island. “Travellers can choose between the 6 days & 5 nights Tour of the East Cape (800 km) or the extended 10 days & 9 nights Tour of East Cape & Hawkes Bay following the Pacific Coast and Thermal Explorer Highways (1200 km),” says Group Travel managing director, Roger Gallagher. 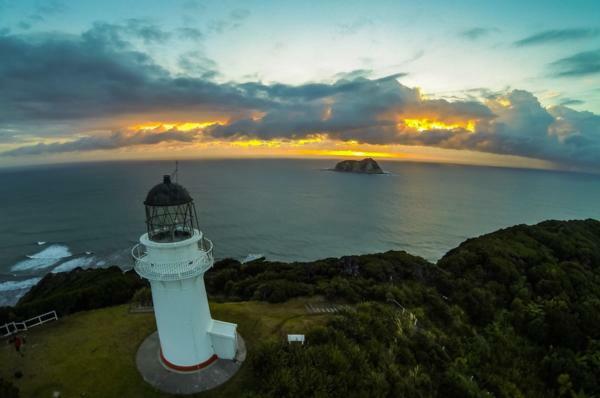 After kick starting the journey with a scenic drive or flight from Auckland to Whakatane, both tours provide travellers with breath-taking views of the ocean, rivers, waterfalls, hills, historic ruins, and of course, the iconic East Cape Lighthouse point of first sunrise in the world. On Day 1, travellers will enjoy a day of sightseeing, trail walking, and swimming at one of the Eastern Bay of Plentys beautiful white sandy beaches. In the evening, dinner will be served at the Fisherman's Wharf restaurant overlooking the picturesque Ohiwa Harbour with even a possibility to visit the astronomical observatory afterwards. Travellers are in for a treat on Day 2 as they will embark on a 50 km sea journey to White Island to walk on the only live marine volcano in the southern hemisphere. A delicious picnic lunch will be provided with even a chance to spot some schools of dolphins swimming in the sea. The next few days promise a world of fun and excitement to every traveller with a vast array of activities planned in some of New Zealand’s most fascinating locations. Travellers will get the chance to enjoy a fantastic 1 ½ hour jet boat ride exploring the Motu River valley followed by a trip to the iconic East Cape Lighthouse- the easternmost point of New Zealand. The journey continues to Tokomaru Bay, Cooks Cove, Tolaga Bay, Gisborne, Rere Falls, Waioeka Gorge, and much more! Starting at just $1500 per person depending on numbers etc, the Tour of East Cape is the quintessential holiday escape. A high quality 12-seater 2018 Mercedes Sprinter will allow for a comfortable and relaxing journey for up to eight passengers. “The guided tours are organised by our talented and knowledgeable team who are passionate about the beauty and hospitality of New Zealand,” says Gallagher. Don’t just dream about your much-needed holiday, make it happen! Contact Group Travel now for more information about your desired tour.